Tilt Brush by Google VR experience. Online security is increasingly becoming a concern around the world in all aspects of communication and business—from a personal email to a bank account. 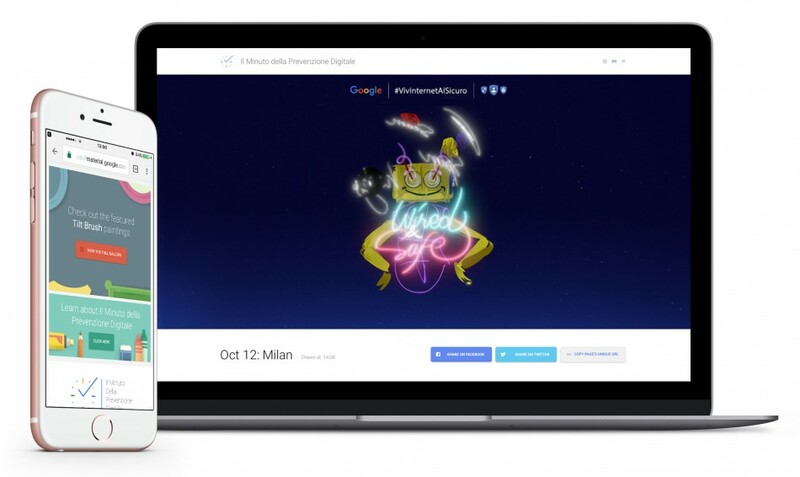 With an eye on the Italian market in particular, Google wanted to make their everyday users aware of the importance of protecting their identity and assets online, but do it in the most lighthearted and engaging way possible. 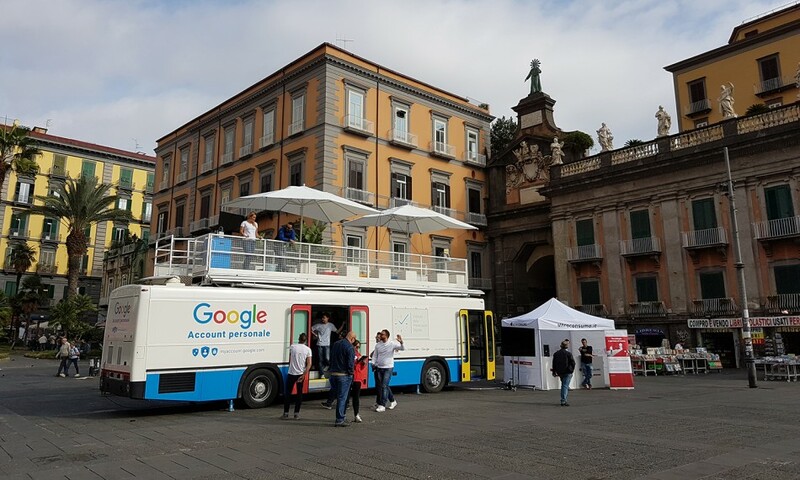 We hit the road on a customized bus, embarking on a journey through Italy and spreading the word about the “My Account” section of Google. It’s one of the most important aspects of your Google world, yet one that many users aren’t even aware of. But a simple demo of a serious topic wouldn’t do the trick. 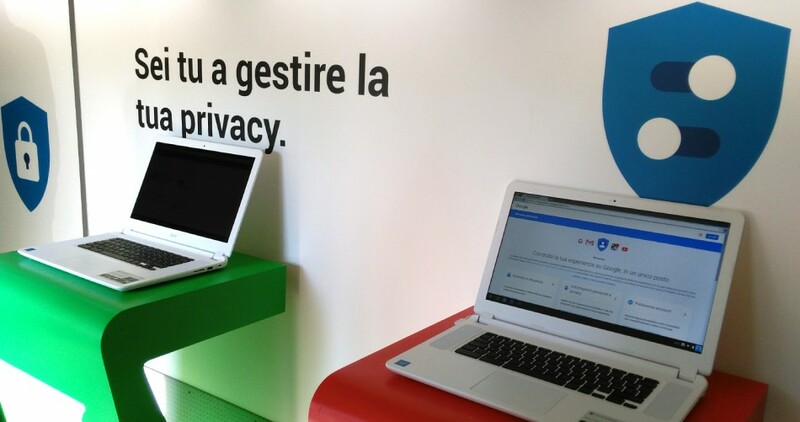 We set up a VR booth powered by the HTC Vive and Tilt Brush by Google, and invited each guest to create a “drawing” about the importance of online security. Each piece of art was uploaded into a Sketchfab account through a custom Unity app, feeding our site experience with unique expressions for the world to see. The collection was fascinating, distinct and of course, shareable—becoming one of the first examples of user generated VR content shared on social. 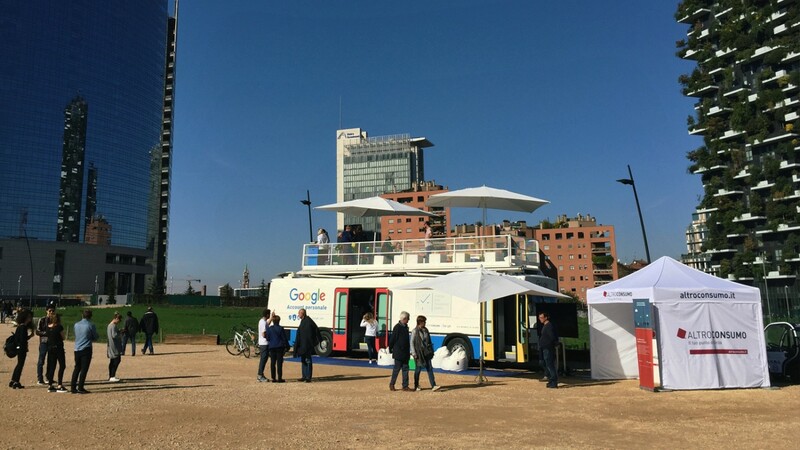 The bus toured Milan, Cagliari, Napoli, Bologna and Roma, bringing with it the significance of online security and an experience that won’t soon be forgotten.